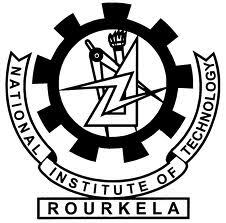 Next Biotechnology News | eBio World: NIT Rourkela " SRF"
Qualification : B.E./B.Tech followed by M.E/M.Tech with throughout 1st class(60% or 6.5 C.G.P.A.) in Biotechnology/ Biomedical Engineering/ Chemical Engineering/ Nanotechnology/ Nanobiotechnology. Desirable Qualifications/ Experiences :Experience in Nanotechnology/Protein chemistry is highly desirable. Eligible persons may apply in the prescribed format, affixed with coloured photographs to be submitted in duplicate along with Xerox copies of relevant certificates, grade mark sheets, publications etc., to Asst. Registrar, SRICCE, National Institute of Technology, Rourkela-769 008 on or before 15.06.2012.The cover should be super- scribed clearly the post applied for & Name of the Project.